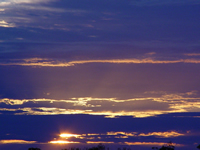 Our Melbourne / Daylesford Reiki 3 / Master Level courses are for Reiki students who wish to take the final step towards evolving their personal practice and learning to teach. Integrating the best features of both Western and Japanese (Usui) Reiki lineages, our Master Level Course provides students with a rare depth of understanding. The fruit of many years research and practice by the Om Reiki Centre founder Jeremy O'Carroll, the course is for students who wish to become Reiki professionals and are willing to put in the work to develop the necessary skills. Jeremy O'Carroll (the course trainer) has studied three different Reiki systems to Master Level (traditional Japanese [Usui], Western and Shamballa Reiki) from some of the world's best known Reiki teachers in India, Thailand, Australia and the USA. 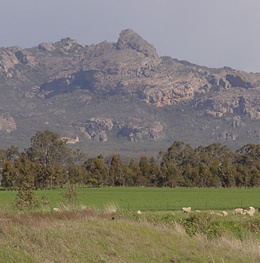 He is also a Karuna Reiki ® Masters (a level only pre-existing Reiki Masters are eligible to take), a much praised teacher, and Teacher Member of the ARC, Australia's most important Reiki organization. The result of his vast experience is a course that is clear, structured and full of powerful meditation and healing techniques that are not found elsewhere. What's more, due to his training, Jeremy's Master Level course offers more detail than traditional Reiki 3 / Master Level courses. This gives students more tools to develop their practice. The Master Level course includes all information that is sometimes broken down into Reiki 3a and 3b, or Reiki Master Practitioner / Reiki Master Level. It also equates with what in traditional Japanese Reiki is known as the Shinpiden level. After the course, students will have the chance to gain experience participating alongside Jeremy in group environments to help develop confidence before opening their own practice. The course certificate is recognised by the ARC (Australian Reiki Connection) and the Australian Association of Reiki Professionals. 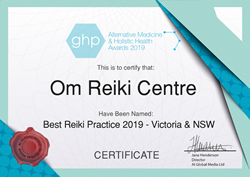 in recognition of Jeremy's work, the Om Reiki Centre has recently been awarded 'Best Reiki Practice 2019 - Victoria and NSW' in the GHP Alternative Medicine and Holistic Health Awards. You'll feel amazing afterwards! (In fact, many of our students report feeling the best they have felt in ages at the conclusion a course). Three full days of small group instruction to ensure students fully grasp the advanced techniques taught. Advanced Om Reiki techniques not taught elsewhere that will greatly expand the way you understand and use Reiki. Attunement to additional Tibetan Master Level symbols. Course certification that is recognized by the ARC (Australian Reiki Connection) and the Australian Association of Reiki Professionals. Pre-course preparation. Using video materials, written materials, and communication with Jeremy, you'll be guided through your pre-course preparation to ensure you get the most from the course. A detailed 21-day e-programme to consolidate and extend everything you have learnt. Free access to our detailed Master Level Video Portal. This video portal contains videos on techniques covered, downloadable meditations, and important articles to improve your Reiki practice. If you haven't studied level 1 or 2 with us, we will also grant you access to our level 1 & 2 video portals. ings from what, as far as Jeremy can tell, is the most advanced aura camera of its kind. By giving you a baseline at the beginning of the course, you will discover not just which areas (chakras, yin/yang balance, auric field etc.) need work, but also which techniques resonate best with you. You'll also witness the amazing improvements the techniques you learn have on your energy field. Powerful Reiki techniques from both Western and traditional Japanese Reiki lineages. Post course support. If you have any questions about your practice, Jeremy is always happy to chat to you about them. 150+ page, original course manual. Become part of more than one well recognized Reiki lineages that originate with Mikao Usui, Reiki's founder. Be attuned to the Reiki Master Symbol. Learn how it will improve your ability to channel energy and enter the 'Great Bright Light'. Know how to attune others to all Reiki levels. This is the crucial step in enabling you to set up your own practice. Know several advanced Reiki meditation techniques to increase energy flow. Know several advanced meditation techniques for increasing consciousness and energy. Know several non-standard methods for giving Reiki, including the use of breath, the eyes and our unique third-eye technique. Understand important strategies for working with clients - what to say, what to avoid. Know how to conduct healing attunements (reiju). These can be used any time both to heal and improve a student's connection to Reiki. Know how to conduct self-attunements. Be familiar with psychic surgery. Have practised advanced meditation using the Reiki symbols. Have Learned how to connect to Reiki energy through mantras and chanting. These technique will truly surprise you if you commit to practising them. By themselves they can totally transform the way you connect to Reiki energy. Know techniques for connecting to 7 main chakras. This will help you achieve greater mental, physical and emotional balance. Have learnt about chakras outside the body and know techniques for connecting to both the Earth Star Chakra and the 8th Chakra. Have learnt to use the Reiki precepts for radical change and healing. Have revised and further developed important concepts covered in our Level 1 & 2 courses. The course is held over three days, but all participants are expected to contact Jeremy afterwards to discuss their reiki progress and ask questions. The Om Reiki Centre is committed to guiding students after Reiki courses and is well aware that this is often an area neglected by many centres. After the course, students are encouraged to participate in a free 21-day Reiki e-programme. This will help reinforce all they have learnt during Reiki Level Master Level and strengthen their connection to the Reiki energy. They will also have the opportunity to gain experience assisting Reiki 1 classes with Jeremy after the course. All participants will receive a course certificate from the Om Reiki Centre. This certificate is recognised by the ARC (Australian Reiki Connection) and the Australian Association of Reiki Professionals. Membership of the ARC verifies that Jeremy O'Carroll (the course teacher) has a direct lineage back to the the founder of Reiki, Mikao Usui. Participants will also receive a Master Level Reiki manual (150+ pages) with notes on all key information covered in the course. Jeremy's Reiki Master Level uses the state-of-the-art IES AuraCloud 3D Pro aura camera to provide a deeper understanding and analysis of all master level students' energy data. It then summarizes your basic energy type and gives a written analysis of your strengths, challenges and opportunities. Using this advanced technology, it will then become clear which areas you need to work on and which healing techniques and approaches serve you best. A gap of + 6 months between level 2 and the starting date of the Master Level Course. (Note: Please contact us if you do not meet this criterion but still feel the time is right to attend our course. We consider all applications on their individual merits). We are happy for anyone who hasn't studied with us to study with us. We will help prepare you for the course, going over what we have covered in Level 1 and 2 and granting you access to our Level 1 and 2 video portal and level 2 e-course. Our Master Level course comes with a 100% no-strings-attached satisfaction guarantee. Simply tell us that you are unhappy at the conclusion of the course, work through our free 21 day post-course e-program and, if you still don't feel you have received great value, write to us or call within the next two weeks for an immediate and cheerful refund. See below for course refund policy. Times: Friday: 9:30am - 5.15. Sat. 9.15am - 6pm; Sun. 9.15am - 5-30pm. I was very happy that I found Om Reiki for Master course. My sensitivity to energy has increased so much, and I became more open than ever as a Reiki channel. The Daylesford location was so beautiful and it was excellent place to be attuned to the new level. Jeremy is very experienced as a teacher, has a great sense of humour, and tells stories and relates to people in such a warm and respectful manner. I just couldn't stop laughing to hear lots of entertaining episodes from his Reiki and spiritual practices. He is so open to experimental ideas while maintaining respect for tradition, and is very creative as a energy worker. His 21days E-course is absolutely fantastic. It guides you to the deeper level step by step, and there is additional information that helps you gain an understanding of what are important & helpful things to be aware of as a Reiki practitioner. I experienced a big shift at many levels just from following it. I think this e-course makes his Master course very special. I learnt so much from following the e-course, and it is still ongoing. It never ends. I can't be thankful enough for what was given for the course! I found the course enormously helpful in improving and expanding my understanding of and ambitions with Reiki. The course material and format fed my interest and imagination with a wealth of knowledge and experience that will be invaluable in my Reiki journey. The course greatly exceeded my expectations. I am blown away by the breadth and depth of the information and experience delivered. This course is on a different planet to most Reiki courses. The course scope, materials, design, delivery, intent, e-course and delivery were all exemplary. I would recommend this course to anyone, including many who have already done a Reiki Master course elsewhere. Most importantly Jeremy always brings us back to our Reiki journey and practice as a path rather than a destination. Want to get a feel for what we teach? 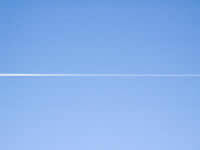 Try reading some of our Reiki articles.